Looking for Racine movers? Located at the mouth of the Root River, on the shore of Lake Michigan, Racine is a pleasant Wisconsin town. 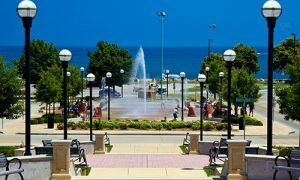 From world-class architecture to amazing water activities to baking favorites, Racine has much to offer for a memorable vacation. Residents can enjoy fishing, kayaking, and canoeing, while outdoor enthusiasts can head to various trails and parks along Root River. Lake Michigan offers charter fishing and recreational boating opportunities. The average temperature of here is comfortable. Racine is warm and mild in summer and offers pleasant sea breezes. In winter, it transforms into a winter wonderland. Racine’s varying temperature throughout the year allows a wide range of activities. Our Racine movers serve Kenosha, Milwaukee, Mequon, Waukesha, and Racine. Brothers Moving & Storage is proud to offer the best moving services to clients, Because every move is different, our experience, knowledge, and expertise in the moving business allow us to provide personalized moving solutions for every individual need. Brothers Moving & Storage is dedicated to making your next moving experience a great one. With excellent customer service, we can help you change locations with ease. 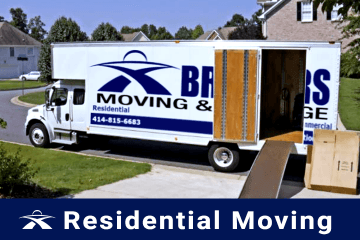 There are many movers to choose from in Wisconsin, what makes Brothers Moving & Storage a recommended choice is the professionalism, quality of service, and experience in the moving industry. We have been providing our services for many years. With us, you can rest knowing that we will take great care of your precious belongings no matter where you are moving to. 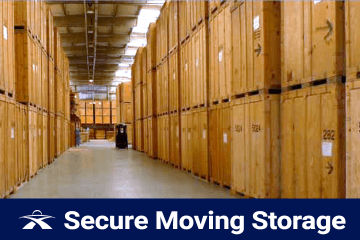 Our moving expertise can help you keep your possessions secure and safe. Moving your home or office, even a short distance can be quite stressful. Brothers Moving & Storage simplifies the process by taking the hassle out of moving. With us, you can forget about the worry of getting your damaged belongings repaired. We have the expertise and equipment to make sure all your belongings are moved to new destination completely intact. Our labor only services is ideal for individuals who move in the same apartment complex or within the home. Our experienced local movers and laborers are admired for the moving services that are specifically designed to suit your needs. 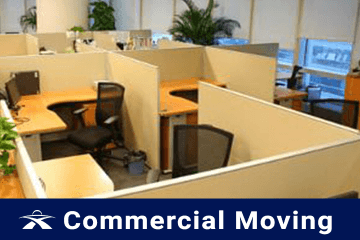 We also provide internal commercial movers for moving office furniture from upstairs to downstairs or from one room to another. The do-it-yourself approach is not recommended when it comes to relocating antiques and artwork. Our expert movers can help you make sure that your precious packages are moved with great precision and care. Moving antiques and artwork requires professionals who have necessary equipment and knowledge to handle such delicate pieces. You can count on Brothers Moving & Storage for reliable antiques and artwork moving service. If you are looking for a secure and affordable moving storage solution, then you don’t have to look further. Brothers Moving & Storage offers secure, safe, and a clean climate controlled environment to store your valuable belongings. Moving to Racine? Hire the services of Brothers Moving & Storage to make your relocation experience hassle-free and smooth. Here at Brothers Moving & Storage we also offer a friendly staff and professional moving services to help make your move as stress-free as possible. You will receive uniformed movers so you always know who you are working with. We fully screen all of our movers with background checks and drug tests and we take the time to protect your floors, doors and banisters to prevent any damage free of charge. We offer Racine Movers at affordable rates that are reliable and trustworthy! Contact us today for a free no-strings-attached moving quote for any of your moving needs. 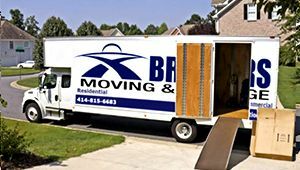 Brothers Moving and Storage has been providing great customer service along with quality moving services to anywhere in Racine and the surrounding areas. If you are interested in a free moving estimate, please contact us at (414) 815-6683. Fun Fact: "Chippecotton", was the earliest Native American Versions of the name Racine. Racine Movers	Overall rating:	4.8	out of 5 based on 20	reviews.